Nathan currently resides in Boardman, Ohio. He is a Mount Union Alumni where he earned his Bachelor’s Degree in Business and Computer Science. 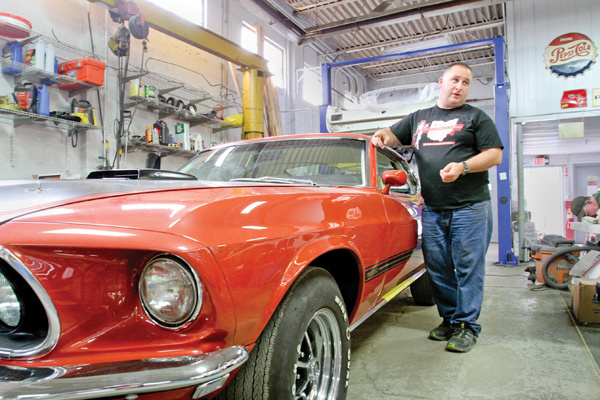 For more than 24 years Nathan has been restoring Mustangs and founded Buckeye Classic Car with his father in 1995. Prior to Buckeye, Nate was Lead Technical Engineer for Lincoln Electric located in Cleveland, Ohio. His other accomplishments include Certification in Sherwin Williams Paint Technology, Sikkens and Glasirut Auto Paint Products, and has Judged for the Mustang Club Of America. Call Us! We're eager to show you how we earned our reputation! Buckeye Classic Car Restoration, located in Canfield, Ohio and serving the Mahoning Valley, is solely dedicated to quality car restorations of nearly all makes of classic, sports, vintage, antique, classic and special interest automobiles. We are a classic, custom, and concours Mustang restoration specialist with many national winning restorations in MCA and AACA.